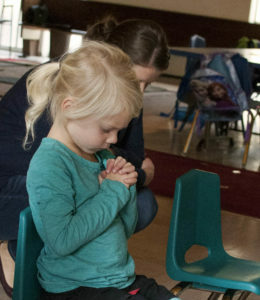 “Mom, at King Road MB Church, I’m learning all about God.” – 4 year old. On Tuesdays the children come and start off by reciting their memory verses for that week. The kids love getting a sticker for remembering their verse. 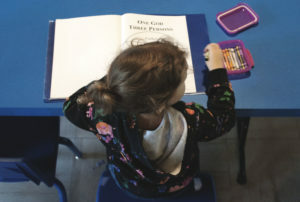 This is also a time for the teachers to connect with the children and the children do a table activity with the colour divisions of the Bible. Next we move around between different stations. – At Memory, we learn a new memory verse and review the previous ones. 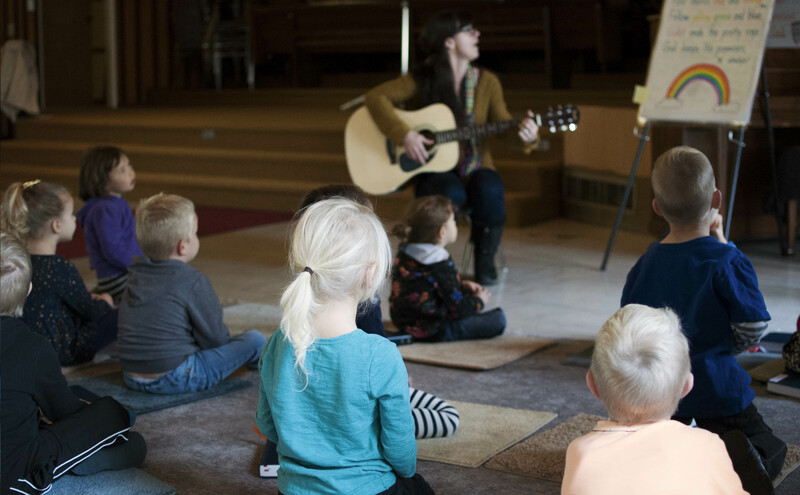 – Story time teaches a truth about God using his word. 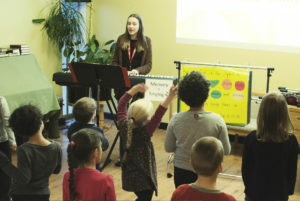 – Singing is exciting as we use our voices and actions to praise God. 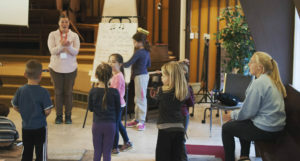 – Worship time is focused on prayer and learning larger portions of scripture (Psalm 100, Psalm 23, Psalm 150 and others). – At Bible, we learn colour divisions for the Bible and the names of the books in both the Old and New Testaments. Colours are Red: books of Moses, White: books of History, Orange: Poetry, Blue: Major Prophets, Pink: Minor Prophets, Green: Four Gospels, Purple: book of History, Yellow: Paul’s Letters, Brown: General Letters, Gold: Prophecy. 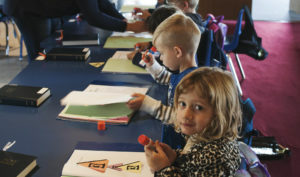 – The last station is an activity that usually involves colouring or gluing. We close off with a prayer and a sending song that reminds us to tell our world about Jesus. Classes are full of energy and excitement as we learn together. 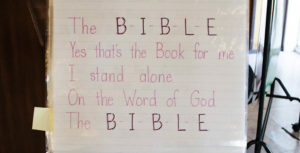 Pray for the children and their families as they memorize God’s word. Pray that the seeds that are planted take root and grow. Pray for the leaders and helpers, as they prepare, teach, answer questions and serve God.